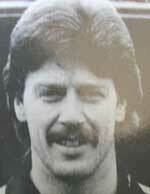 Ray McBride is the third goalkeeper to feature in our series after Jimmy Cumbes and Brian Pendlebury. McBride was a 6�� 2�� keeper who had played his football in the West Cheshire League for clubs such as Vauxhall (yes, they were a West Cheshire League team once! ), Port Sunlight and Christleton. He was apparently no mean centre forward either in his early playing days! He was born in Bromborough in November 1955 and signed for the Linnets in 1984, taking over from Brian Parker as regular first choice keeper at the start of season 1984/85. Amazing to think that Ray was 28 years old before he came into top non �C league football. His contribution to the team reaching Wembley in 1986 was immense. McBride only conceded one goal on the way to that Final and that was in the quarter finals against Kidderminster. 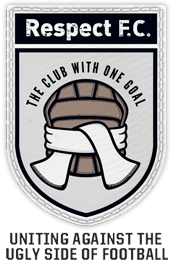 Clean sheets were kept at home against Marine in the first round, then at Windsor and Eton in round 2. Then came a home tie with Burton Albion and yet another clean sheet. Only in the quarter final away at Aggborough, home of Kidderminster, did we finally concede a goal, but two more clean sheets against Kettering in the semi �C finals ensured our place in the final. McBride gave great service to the club for six years until he was finally succeeded by Arthur Williams in 1990. During his time at the club, McBride was part of 5 Cheshire Senior Cup successes between 1984 and 1989 as well as winning the Bob Lord Trophy in 1984/85 and the Gola League Championship Shield. Over the years, the Linnets have been fortunate to have had some excellent goalkeepers and in the eyes of many fans, McBride would be up there amongst the best. He was, of course, the first goalkeeper ever to play for us at Wembley but was never a part of a championship winning team. Like all goalkeepers, he was capable of the odd blunder but my overriding memories of Ray McBride are of a good solid keeper, who was popular with the fans and gave great service to the club. It is often the strikers in football who win all the plaudits but during this series, we have tried to recognize all those players who have contributed that little bit more to the cause over the years and I have no hesitation in putting McBride into that category of players who have the right to be remembered as Linnets Legends.